Breakfast might be "chef's choice" (me), but we always take into consideration dietary issues and are quite comfortable doing vegetarian, vegan, gluten free, non-dairy and lactose intolerant, etc. breakfasts. Don't worry, if you don't have any dietary restrictions, we'll make you our normal breakfast! Here is my favorite recipe that everyone loves and you would never know it's vegan! The recipe has no animal products of any kind. Try it, you'll love it! 1. Preheat oven to 350 degrees. Grease and sugar (just use sugar to line the pan instead of the typical flour) two 8"x4" loaf pans. 2. Spread walnuts in a single layer on an ungreased baking sheet. Toast in the preheated oven for 8 to 10 minutes or until lightly browned. Set aside to cool. 3. In a large bowl, stir together the flour, brown sugar, white sugar, baking soda, salt nutmeg and cinnamon. Add the pumpkin puree, oil and coconut milk and mix until all of the flour is absorbed. Fold in the flaked coconut and toasted walnuts. Divide the batter evenly between the prepared pans. 4. Bake for 1 hour and 15 minutes or until a toothpick inserted in the center comes out clean. Remove from oven and cover loaves tightly with foil. Allow to steam for 10 minutes. Remove foil and turn out onto a cooling rack. Tent loosely with the foil and allow to cool completely. 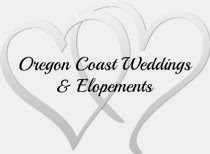 "Your romantic getaway on the beautiful Oregon coast".